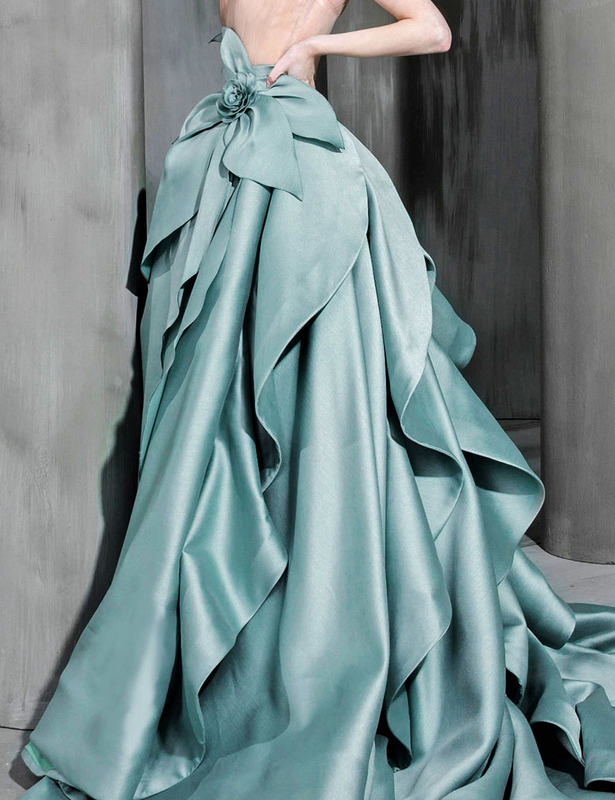 Alexis Mabille's gown made such an impact on the runway during couture fashion week and encapsulates the designer's penchant for mixing masculine and feminine codes. This tuxedo-inspired piece is cut from satin-piqué with an off-the-shoulder neckline and full skirt that's pleated for extra volume. The sweetheart bodice is accented with lustrous lapels and internally boned for structure. Make the most of the high-low hem and showcase your favourite heels. 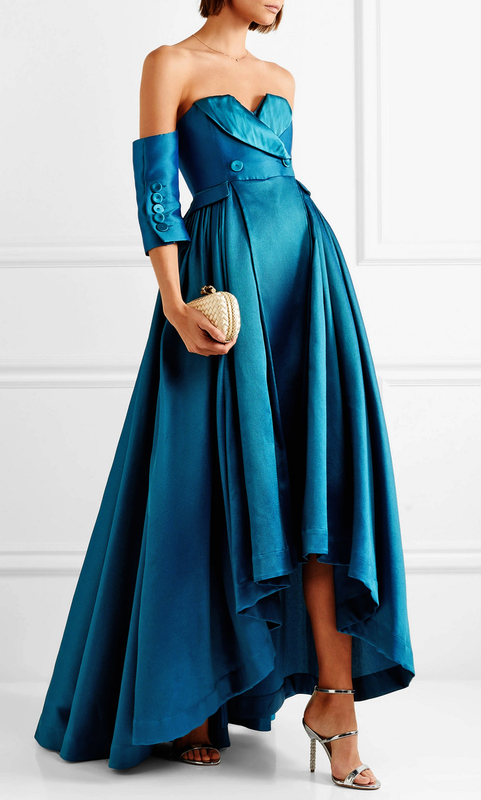 Alexis Mabille's skirt is defined by the signature knotted sash that creates the illusion of a pair of sleeves around the waist. Made from floral-print organza and silk, this maxi style is left unlined so the voluminous silhouette feels easy to move in. Style yours with the brand's top for a spring gala or wedding. 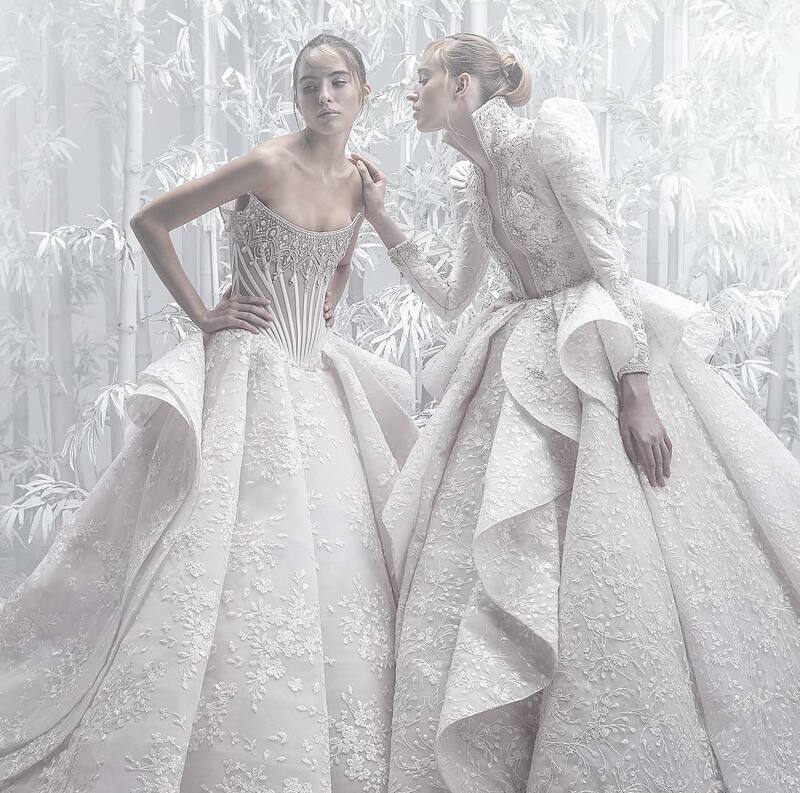 French designer Alexis Mabille cut his teeth at Christian Dior and Yves Saint Laurent before launching his line in 2005 – so it's safe to say he knows a thing or two about couture. 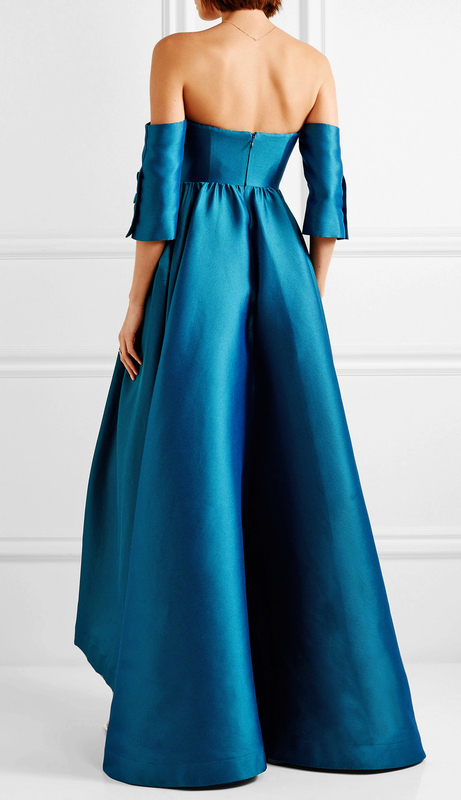 Inspired by evening shirting, this strapless gown is made from glossy red satin-twill and features ties at the waist that look like sleeves. It has a boned bodice for structure and is left unlined for lightness, making it ultra comfortable to wear until the early hours. Alexis Mabille studied at the Chambre Syndicale de la Couture Parisienne before honing his skills at Christian Dior and Yves Saint Laurent. First seen at the Spring '18 couture show, this gown has been expertly crafted from coral duchesse-satin and embellished with crystal buttons along the front and cuffs. The blouson sleeves and adjustable waist tie add volume and definition. Alexis Mabille spent nine years at Dior where some of his 'Homme' designs were overseen by Hedi Slimane. Worn in Paris at the Frenchman's couture show, this menswear-inspired satin-twill top features a bow at the front and cuffs that are punctuated with sparkling crystals. Echo the runway and wear it with a couple of the buttons unfastened and a dark lip.